Vacation rental cottage. 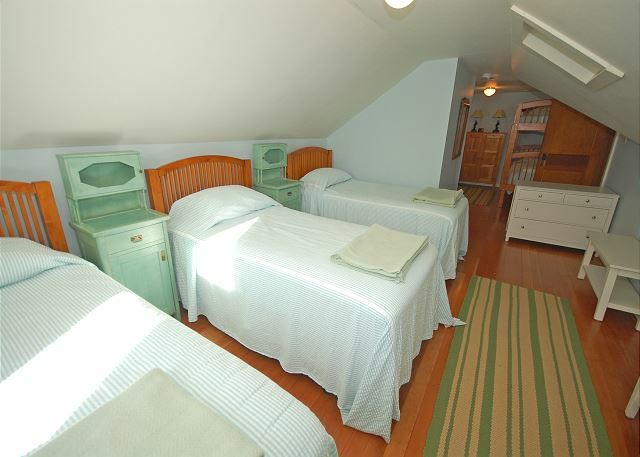 Sleeps 10, 3 bedrooms, 2.5 bathrooms. No pets allowed. Moon Path as seen from the dock! The pathway to the beautiful lakeside of the cottage. On Little Glen Lake looking towards the cottage and the Dunes! The water side of the cottage in fall! The driveway side of the cottage in winter. The charming screened in porch just off the entryway. The screened in porch with a dining area. The kitchen, located just off the entryway and screened in porch. The incredible living room located just next to the kitchen. The original fireplace in this incredible room! The dining table, which is part of the living room area. Looking towards the kitchen from the living room. The living room in the summer months. The living room, heading towards the step down game room. The lower level game room, with flat screen TV, air hockey table, and sliding doors to the lake side yard. 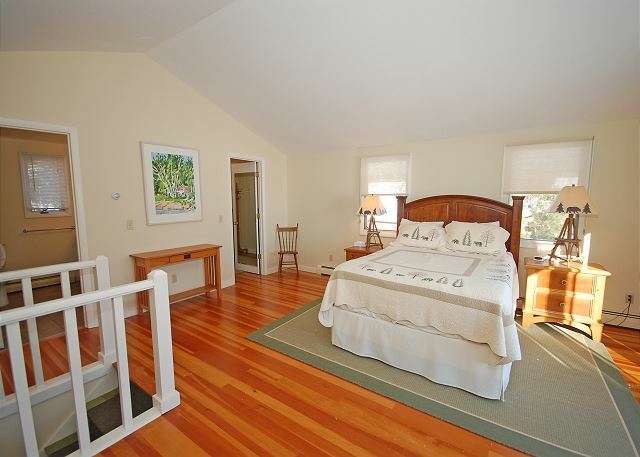 The main floor bedroom with queen bed. Main floor bedroom with queen bed. The master suite on the second floor. 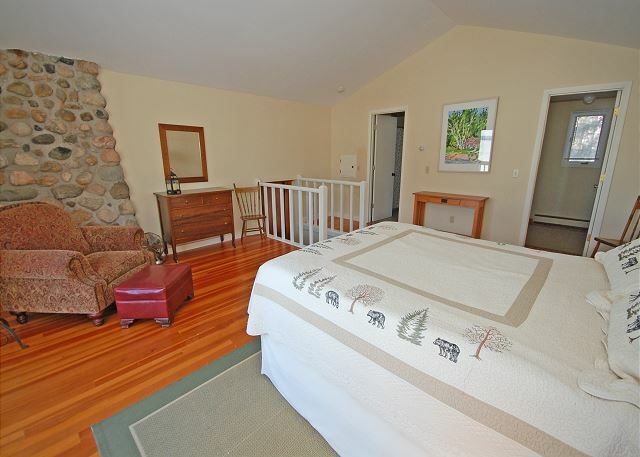 The second floor master suite. The second floor master suite, looking towards the walk in closet and bathroom. Looking from the stairs of the master suite towards the steps up to the bunk room. Looking from one side of the bunk room to the other. The other side of the bunk room with the bunk beds. 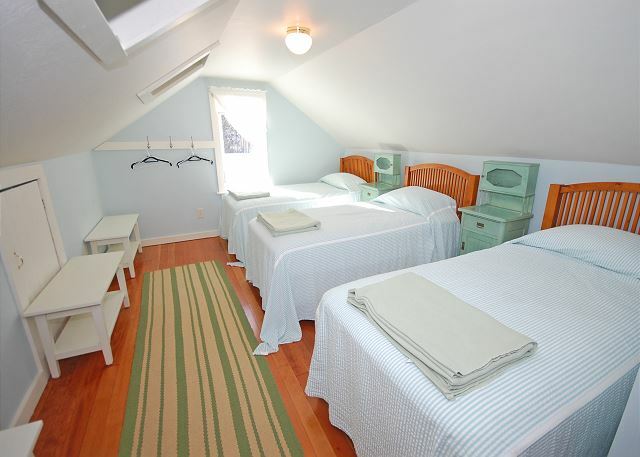 The bunk room and its attached half bath with a toilet and sink. 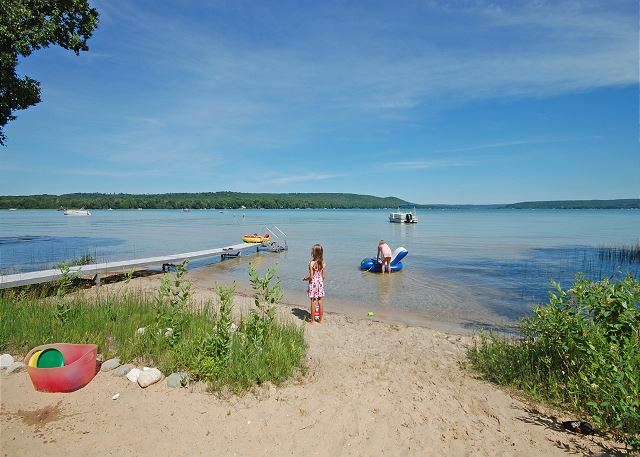 West shore of Little Glen Lake, across from the Sleeping Bear Dunes and Heritage Trail for hiking, walking, and biking. Three bedrooms; Two and one half bathrooms; Accommodates 10. 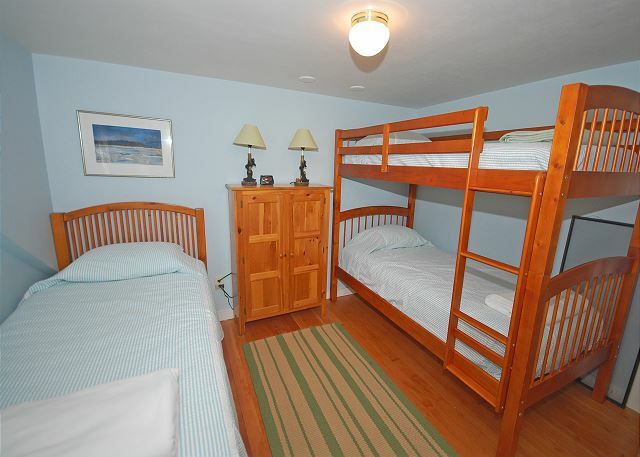 Queen bed in the first floor bedroom; Queen bed in the second floor master suite; Four twins and one set of bunk beds in the second floor bunk room. Fireplace; Screened in porch; Fans; Washer and Dryer; Linens and Towels provided. TV/DVD/Wireless and High Speed Internet; Game room (with air hockey table). 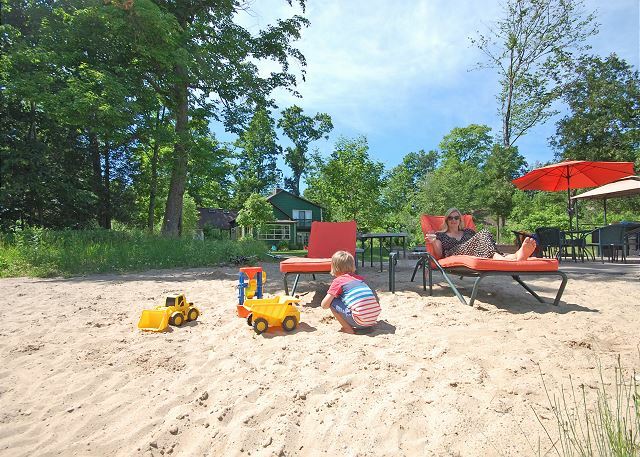 Outside there's a patio, patio furniture, sandy bottom beach and water area, shuffleboard court, fire pit, gas grill, dock, two kayaks, one canoe, and mooring device (for bringing a boat). This property can accommodate a maximum of 4 cars. 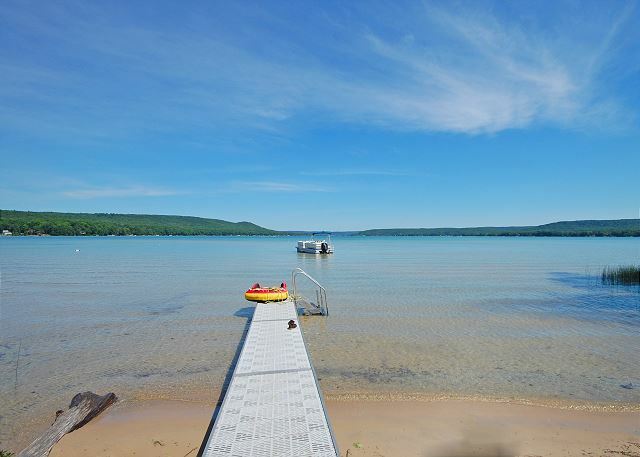 Summer rentals are Saturday to Saturday.